Squishy Mats Review by Denise Murray Wong | Bring This Comfort and Convenience Must-Have to Infancy and Beyond! Comfy and cozy are top-ranking life goals in our home. Following a busy day of life's demands, finding time to rest and rejuvenate are essential to our health and wellness. Being adaptable to a variety of situations is important. Our secret to enjoying the ultimate in comfort and convenience is adaptable from the early days of infancy, to mastering developmental milestones of rolling and crawling, through picnics in the park to quiet times petting our pets- and beyond! 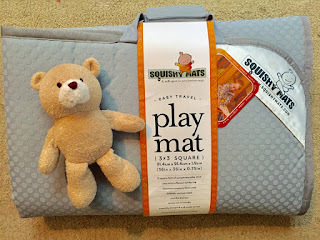 Thank you to our friends from Squishy Mats and US Family Guide for the courtesy of partnering to provide promotional product for editorial content purposes. Our Squishy Mat, The Little Squishy, is a super comfy, 3/4" Memory Foam cushioned, travel-ready cozy space. The kids (and I!) can rest and play with ease on an easy to clean, soft, non-skid rubber grid. Designed with busy families in mind, foldable Squishy Mats are available in two sizes- 4'x 4' and 3'x 3' and a changing mat, each surface and machine washable, featuring an attached handle for pack-and-go travel convenience and simple storage. 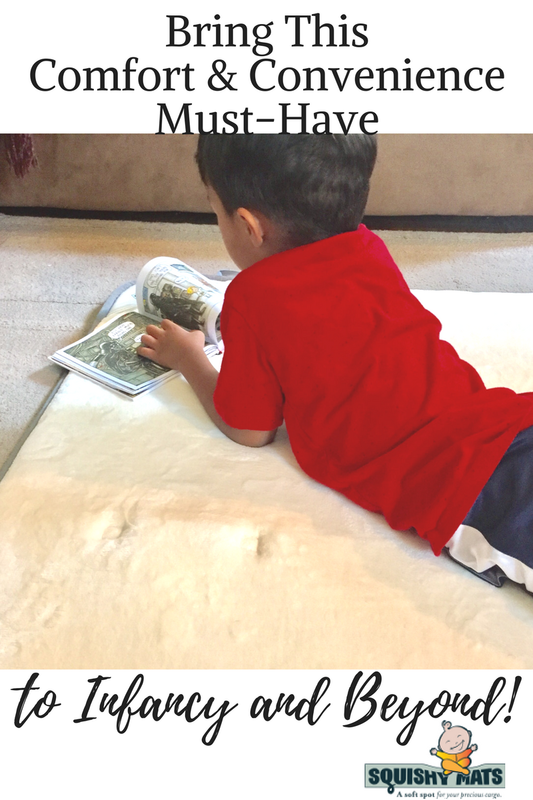 With a comfortable way for parents, grandparents and friends to interact with little learners on their level, Squishy Mats are industry innovators, combining memory foam, a soft upper, and no-skid backing to create a soft, spacious, safe surface areas we can all sink right in to- anytime and almost anywhere. 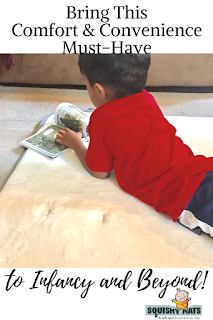 There are no limits to the convenience and comfort of the impact absorbing, Squishy Mats for use at home or on-the-go, at outdoor events, story time, fitness classes, or sports activities. We're offering an exclusive discount offer to our readers to save 15% off of your order with the promotional discount code- USFAMILY on all sized Squishy Mats!